J-14 New Moon Countdown: 18 Days to Go — Edi Gathegi’s Cast School Superlatives! The J-14 New Moon Countdown continues! Edi Gathegi: Most likely to succeed. Already has success. Edi: Most likely to succeed. 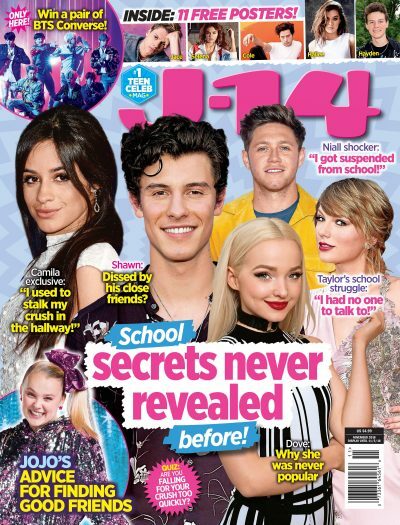 J-14: Is it going to be for the same for everyone? Edi: Keep going. I'm going to tell you who's not going to succeed! Edi: Is there like a beauty queen one? Prom Queen. – J-14 New Moon Countdown: 19 Days to Go — The Cullens' Real-Life Thirst for Food! Check back tomorrow for another J-14 New Moon exclusive. PLUS: Check out our J-14's New Moon Microsite to keep up to date on all things Twilight! For more New Moon exclusives including photos from the set, pick up the new issue of J-14, on stands today!